Giovanni De Nunzio (IFP Energies nouvelles) presented a work entitled “A Model-Based Eco-Routing Strategy for Electric Vehicles in Large Urban Networks” at the IEEE 19th International Conference on Intelligent Transportation Systems (ITSC 2016) in Rio de Janeiro, Brazil, on November 4th 2016. 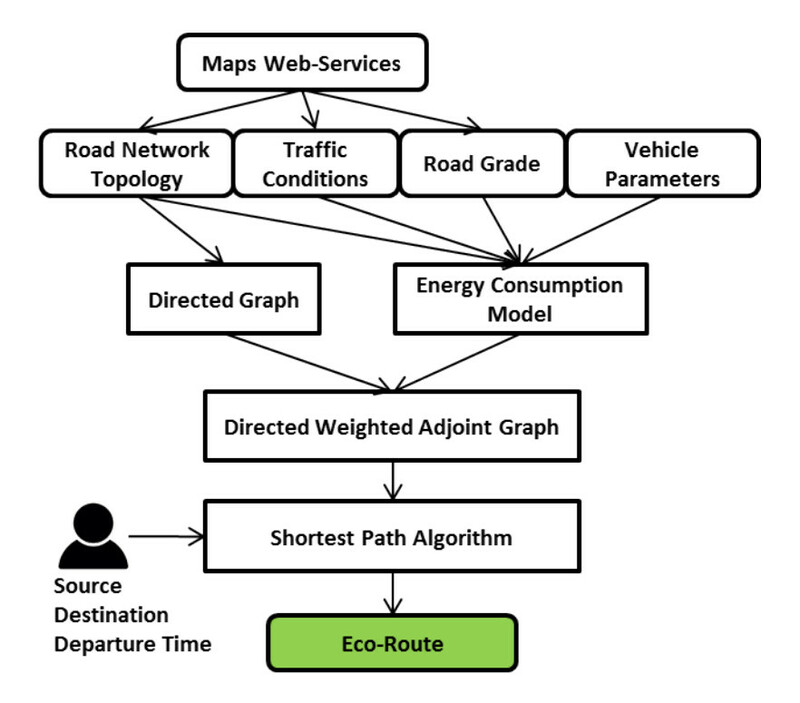 A novel eco-routing navigation strategy and energy consumption modeling approach for electric vehicles were proposed in this work as a contribution to the OPTEMUS project. The energy consumption model is improved by considering both accelerations and impact of the road infrastructure, and by separating the costs of all the possible turning movements in the transportation network. The experimental results demonstrate that the proposed strategy is more effective and reliable than the existing approaches in predicting vehicle energy consumption and in suggesting an energy-efficient route.